Guys a few days back I received one more update through OTA, which I downloaded over 3g as I was traveling.My touch performance has improved a lot,it has become very soft ,touch is super butter smooth so guys who are going to buy the phone pls go ahead there is no issues at all . 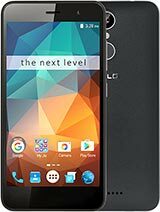 I have been using this phone for more than 1 month now without any issues . USB Tethering and wifi Hotspot and wifi direct all works great . What else do you want from a 13k phone , each and everyone who has seen my phone has been impressed and amazed.If you still have any questions after reading all the posts do let me know. Pls let me know how is the after sales support from Xolo in Chennai? Are the service centers responsive? Also tel me if USB Tethering and Hotspot are supported in this. Let me know about the camera, display and gaming experience..
Is wifi Hotspot available in this phone. How s d front camera qlty for video chat. Also pls tell if der is ny issue in touch n video rec qlty. Wats ur manf date of ur phone. WOW!!! very good phone, and BATTERY is good considering screen size. very fast quad.If thinking on big screen and little compromise on screen resolution, go for this. Worth the money.. Thanks adarsha & Manu for advicing. I have taken your advice and continuing with q2000. My phone will arrive in 3-4 days. Waiting is getting impossible for me after reading your comments. "FAA" you mentioned "for the update go to settings and then about phone you will see software updates," I heard before HD recording and touch problems are there in this phone which got fixed in updates. Are these updates same which will fix the HD recording issue and other issues?? Or I have to do something else for that. Today rooted the phone using framroot. Works like charm. Rahul, 24 Dec 2013I bought it yesterday. After taking images its not getting saved. Any solution? And also tell ... moreMake sure that your SD card is selected as default write option, for the update go to settings and then about phone you will see software updates, make sure you have wifi connection and that's all.. I bought it yesterday. After taking images its not getting saved. Any solution? And also tell me how to update the phone? About a week back I had posted my opinion about Xolo q2000 and I was in a fix because of two issues touch and camera in low light. But after about another week I am a happy owner of Xolo q2000. As touch has improved and may be I also got used to it. About camera I compared it with Sony xperia 8mega pixel camera possessed by my colegue. I took macro shots with mine and his from same distance and zoomed the images . the images with my can were far better in detail and xperia stood nowhere near Xoloq2000 camera. Then i compared it with Samsung s3 camera possessed by my brother using same method I found there was no difference in detail on zooming the pictures but however the photos appeared better on s3 screen as colors were a little better in s3. But overall the detail of pictures is almost equal. I use phone for browsing the net, reading books and taking photographs particularly macro shots. So I am more than happy with this set. I think I have made the right choice. 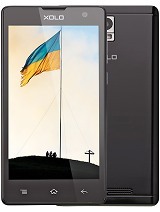 Friends,kindly suggest which mobile should I opt for between xoloq 2000 and micromaxx canvas magnus.? Specification wise,xolo looks ahead,but what about its after sale service condition as there is no service centre of xolo in my city,but micromax have....is there any other issues with xolo q2000. 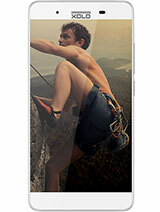 Saurabh, 21 Dec 2013Hi guys, I just ordered Q2000 and now I see Q3000 is also about to come. What approx price it ... morehi sourav if you think in such a way you will never be able to purchase a handset. Today Xolo q3000 has arrived tommarrow another device will come. 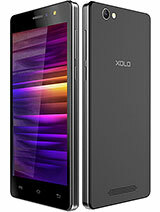 I will suggest you to go for Xolo q2000 .Its looks are killer and much better then Xolo q3000. Morover its not that much expensive. 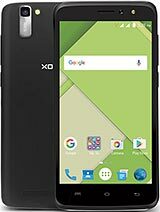 If looks does not matters for you and you have 21000 Rs with you to spend on a not a well known brand you can conside Xolo q3000. 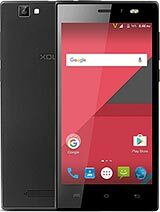 I will suggest you to not to spend very much on Xolo q3000.